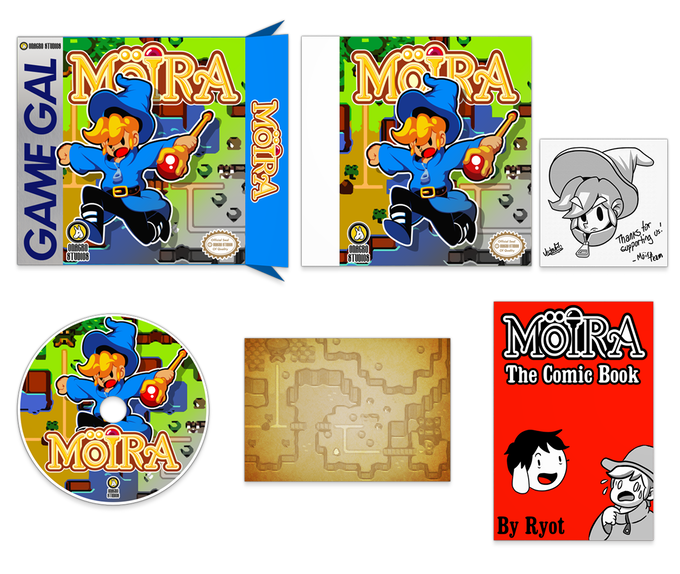 Moira is a 2D platformer that combines Mario, specifically Super Mario Bros. 3, and Mega Man at its prime. Need I say more? Yes, because that isn’t enough information for anyone to go on as to what this game is. 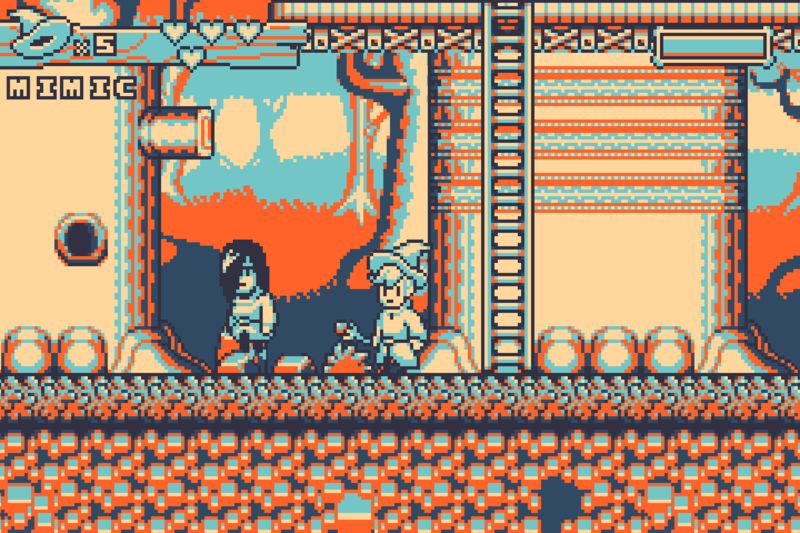 The developers are calling this a “Game Boy inspired” game, and you can see those roots shining through, right down to the camera being really zoomed in on the protagonist. It’s a weird thing to point out, sure, but it illustrates how old-school the developers, Spain based Onagro Studios, are going. The original Game Boy wasn’t in color, but they’ve done a good job of emulating the color scheme of the Game Boy Color without making it look artificial. Levels play out like a combination of Mega Man and Mario, quickly moving to the left or right and shooting enemies with an emphasis on platforming and collecting power-ups. The overworld itself is ripped straight from Super Mario Bros. 3 even. But there are also some Legend of Zelda vibes, as you have to manage weapons and items in your inventory including a sword and boomerang. 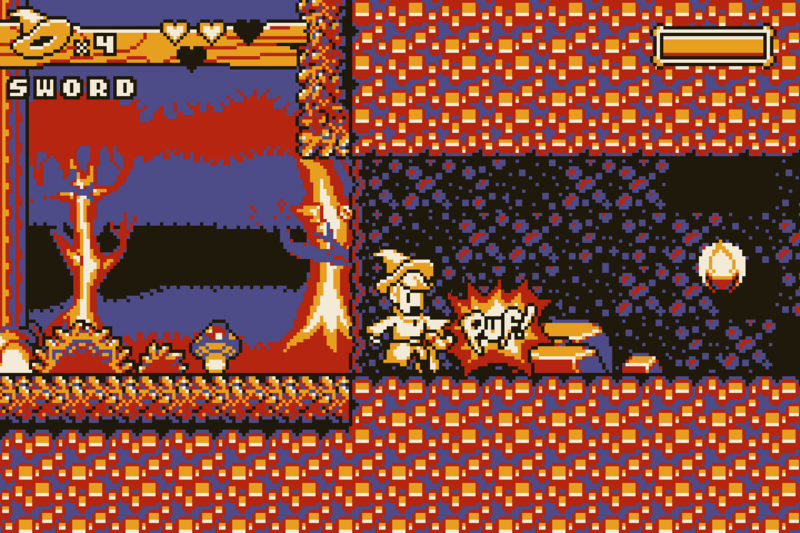 And if that weren’t enough, you play as a wizard’s apprentice, so you have constant access to magic spells. Moira isn’t so much trying to emulate NES and Game Boy games as it’s trying to actually be one. Normally I’m not a huge fan of this kind of nostalgia driven retro game design, but it’s easy to tell Onagro is coming from a place of love as opposed to a cynicism. They’re even keeping the plot to a bare minimum. The big wizard who did all kinds of good things has gone missing and it’s up to you to find him and along the way you make new friends and explore new lands. Does that ring any bells? The game’s even coming in a retro style Game Boy box, and is getting a one-shot comic included. How old-fashioned – in a good way – is that? This is actually the second attempt at Kickstarting Moira, the first coming back in May 2014. Back then the game looked to be drastically different, wearing its Game Boy inspirations further up its sleeve? Down its sleeve? Whatever, it was in black and white back then, the graphics were much blockier, the camera was even more zoomed in on the protagonist, and the UI was much simpler. All in all, I expect Moira to easily make it’s $13,225 goal. There’s a demo available if you want to try the game for yourself too. I’ll be playing that for our Youtube channel sometime next week. Track the progress of the Moira Kickstarter in our Campaign Calendar.